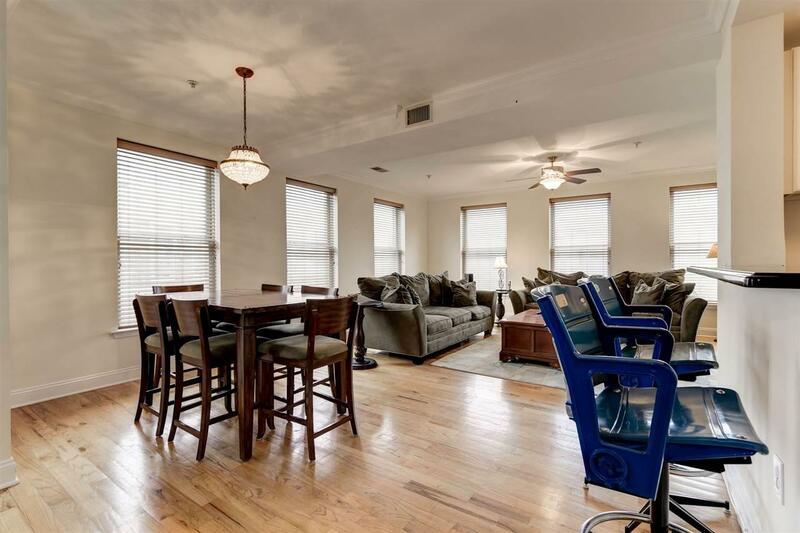 Dont miss this 1321 sq ft, corner, 2br, 2bath condo in The Columbus. This unit has been freshly painted and features a spacious terrace, custom closets, hardwood floors, central AC, updated ceiling fans and light fixtures, and a new washer/dryer & hot water heater. The kitchen is open to the expansive dining and living areas which are filled with natural sunlight. The master bedroom is spacious and has a newly renovated full, en suite bathroom with marble tile and a glass shower door. The 2nd bedroom and full bathroom are also sizable. This unit is located in an elevator building with 1 car attached garage parking and an exercise room. The home is situated next to Columbus park and close to bus, shops, restaurants & more. Inclusions All Appliances: Washer/Dryer Oven Range Refrigerator Dishwasher Microwave. Light Fixtures Ceiling Fans & Window Blinds.